Published by MEMRI on February 23, 2012. The Egyptian revolution of January 25, 2011 began on the Internet long before the massive protests in Al-Tahrir square took place. The 18 days of that revolution and subsequent events sparked a wave of popular creative expression, in the form of protest songs communicating the ideas and ideals of the liberal youth that led the revolution. This creative drive, which continues today, reflects the frustration of the youth that led the revolution and its sense that the revolution has been hijacked by an emerging coalition of the Supreme Council of the Armed Forces (SCAF) and Islamist circles – both the Muslim Brotherhood and the Salafi movements – which are presenting themselves as revolutionaries while shaping post-revolutionary Egypt in the image of its past. In an attempt to compete with the authentic creativity of the liberal youth, the Muslim Brotherhood even produced a propaganda rap video depicting itself as the true revolutionary. Similar to the online commotion prior to the January 25, 2011 revolution, the continuing creative endeavor by the liberal youth reflects an undercurrent that could indicate the coming of a possible second revolution. 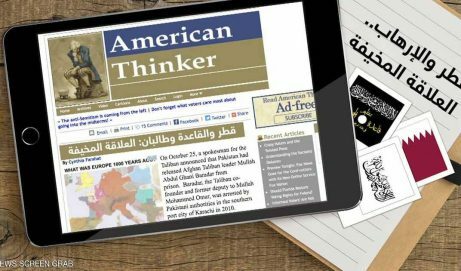 The clips in this report, from the Internet, focus on the Egyptian youth’s resistance to the continuing SCAF regime; their critique of the Muslim Brotherhood, Islamic circles, and government media; and the original values and ideals that fueled the first revolution. This report is the first in a series on the cultural dimensions of the Egyptian revolution. Revolution Records is Egypt’s first underground rap label. It was established in 2006 by a group of young musicians from Alexandria who later participated in the Tahrir Square protests and are known for their pro-freedom songs and criticism of the SCAF. The group members do not use their real names, because, as their Facebook page explains, they wish to spread their message rather than promote themselves. Their songs and clips are distributed on the social networks and on YouTube. “Liars,” the most recent clip by Revolution Records, includes footage of attacks by the military and security forces on protestors, and shows SCAF chairman Field Marshal Muhammad Tantawi making statements that are belied by the violent images. “Nothing has changed… Rise up, Egyptians! “What can you to do to people that are used to suffering? “Kill us one by one, but I dare you to kill the idea! “With blood on your hands, a bunch of traitors. “Which one of us is the prisoner now? “Every tyrant comes to an end… and your turn is coming [soon]. “This year the death toll has risen. How many martyrs are there now? “Some gangs have destroyed [Egypt]… [and] divided [the people]. “What has the revolution changed? “Except promises, speeches and slogans? We’ve had it! “They stand like chickens on the borders and harass women! “Egypt Has Been Sold” is a short film produced by Safwan Nasser El-Din, a 22-year-old artist. 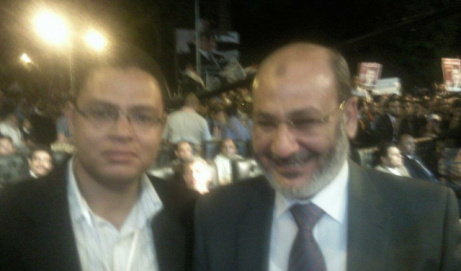 Nasser El-Din became widely known among Egyptian dissidents with his first YouTube clip, “The Birth of a New Egypt,” after Mubarak was toppled in February 2011. “Egypt Has Been Sold,” Nasser El-Din’s second popular clip, is an analysis of the Egyptian power struggle and of the growing relationship between the Islamists, the regime, and the military in the country, on the one hand, and the Al-Tahrir protestors, on the other. It had over 190,000 views in its first week on YouTube. Protestors: “Egypt, I want my rights. Salafis: “Enough! Let’s cooperate against the enemies of Allah. Liberals: “You all sold Egypt. “Some of you betrayed us. “Some of you tortured us. “Infiltrators” criticizes the Egyptian media and the Egyptian regime for their systematic demonizing of reformers and protestors by routinely referring to them as infiltrators, spies, agents of Israel, Iran, and America, while blaming dissent, political unrest, and economic turmoil on foreign, international conspiracies, and international agendas. Although such accusations have been part of the regime’s political discourse for many years – and although the youth grew up hearing them – since the revolution they have been widely mocked and rejected by protestors. Amateur Egyptian singer Yasser El-Manawehli, who wrote and performed this song, became well known among the Egyptian youth after this clip went viral on YouTube. It was produced by WellsBox, a new Egyptian production and digital media company. “I once went to join a group, a group of ‘infiltrators’ that were never fully aware of their marginalization and oppression. “I found them to be a large group of patriots – about a million – and they’re only increasing – so much for a ‘minority,’ and so much for ‘infiltrators’! “Are these the ‘minority’ of ‘infiltrators,’ you scumbags of the media? You regime mouthpieces, you regime mouthpieces. You elementary school dropouts, there is an invention called satellite channels; haven’t you ever heard of something called a satellite dish? “Haven’t you committed enough deception and fraud? And after all this, you still have the nerve to appear publicly? What’s with you media personalities? What’s with you and your duplicity? Your faces on TV advocate insolence. Stop insulting and undermining our intelligence. “I once went to ‘infiltrate’ a group, a group of ‘infiltrators’ that were never fully aware of their marginalization and oppression. “The whole system is corrupt from head to toe. In an interview with 60 Minutes that aired October 9, 2011, Essam told of his abduction and torture by the Egyptian military at the Egyptian Museum in Tahrir Square, which the Mubarak regime had turned into a prison. Following the torture he was dumped in a garbage can in the street, where protestors later found him. “Time shall be our witness; time shall be our witness. “And if they call us infidels, the Omar Makram mosque will answer them. “We either live free or we die courageously. “The solution is in Tahrir Square. “Bread, Freedom, Social Justice,” also by Ramy Essam, sets out the goals of the revolution as he sees them. “Egyptians will water it with their sweat. “Someday it will overflow and pay its dues. “Earning a living, not by servitude, and all [other] rights will follow. “We will get it even by force. “Freedom is earning a living. “We will get even by force. The Muslim Brotherhood clip was mentioned in The Washington Post, February 15, 2012. The English is in the original clip; the text has been edited for clarity. Khaled Said, an Egyptian youth beaten to death by the Egyptian police on June 6, 2010, following his arrest for posting videos on the Internet showing police dividing confiscated drugs among themselves. Though photos of Said’s body bearing marks of violence were circulated online, police claimed that he had died after swallowing drugs. The incident sparked protests against the Mubarak regime and its use of torture in prisons, which eventually developed into the January 25, 2011 revolution. During the revolution, media and security forces often referred to protestors as agents of Iran or of Hizbullah. “Sheikh Imam,” or Imam Mohammed Ahmed Issa (1918-1995), was a blind Muslim scholar who in the 1930s left his post as sheikh of a mosque to launch a singing career. He is known in Egypt for his songs mocking the regime of president Gamal Abd Al-Nasser after Egypt lost the 1967 Six-Day War. 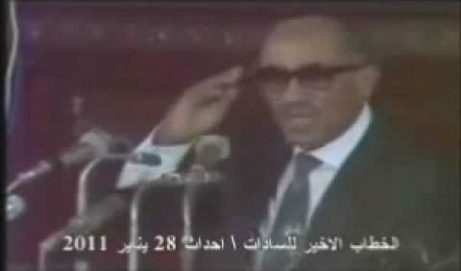 In 1969 he was sentenced to life imprisonment, and was released 12 years later following the assassination of president Anwar Sadat. Sheikh Mazhar Shahin, preacher at the Omar Makram mosque, stood with protestors against the Islamists who repeatedly attacked him. The Egyptian Islamist television channel Al-Nas declared Shahin an apostate for defending Egyptian Coptic Christians. © 1998-2012, The Middle East Media Research Institute All Rights Reserved. Materials may only be cited with proper attribution.